Italian painter. 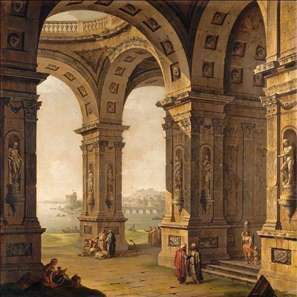 He first studied in Modena with il Menia (Raffaello Rinaldi; fl 1713). 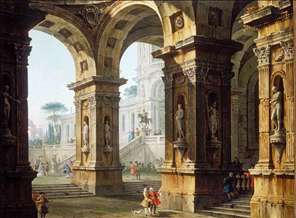 After a period in Rome in the studios of a member of the Galli-Bibiena family and of Giovanni Paolo Panini he worked as a scene painter in Modena and Perugia. 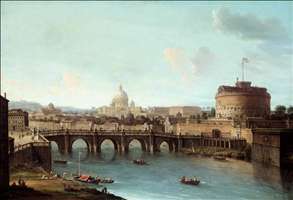 By 1735 he was in Venice, where he came into contact with Canaletto and again worked as a scene painter. He travelled widely in Europe, and from Germany went to London, where he lived from 1744 to 1748. He had a managerial position at the King s Theatre, Haymarket, and decorated the Richmond mansion of its director, John James Heidegger, with view paintings (in situ). In London he also produced topographical paintings. 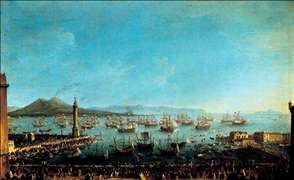 From 1750 to 1754 he worked in Madrid. 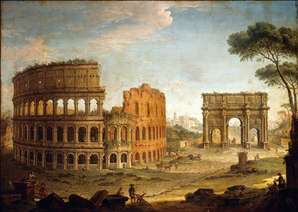 See more details about "Arrival of Charles III in Naples"
See more details about "Capriccio with Elegant Figures"
See more details about "Architectural Capriccio"
See more details about "Rome: View of the Tiber"
See more details about "Rome: View of the Colosseum and The Arch of Constantine"